If you don’t want to shell out the money for the top 3.8 Track model, there’s a rich aftermarket of possibilities, as well as a supportive enthusiast community for the Gen Coupe. When the Hyundai Genesis Coupe was first rolled out three years ago, it was considered a pretty bold move. Not only did it mark Hyundai’s entrance into an area of the market that Japanese automakers had long since abandoned (rear-wheel-drive sport coupes); it was also part of Hyundai’s strategy to be seen as more than just a maker of sensible, high-value sedans and crossovers. 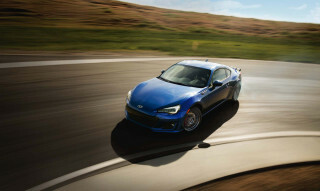 While the Genesis Coupe accomplished its mission in that respect—changing shoppers’ perception of Hyundai, and getting them a new foothold in the market—it was clearly in some respects a first effort and lacked the sort of precise feel and finely honed dynamics of some of the competition. Enter the 2013 Genesis Coupe; while Hyundai’s calling it a mid-cycle refresh, the changes are extensive, including much stronger engines, a new eight-speed automatic transmission, retuned steering and suspension systems, all-new front styling, a new instrument panel, and an expanded feature set—plus improved materials and detailing inside and out. In short, it’s as if Hyundai is presenting a higher-resolution version of the previous Genesis Coupe. ‘Aggressive’ is a word that automakers tend to overuse in describing the styling of exteriors, but it's an appropriate descriptor here for the new Genesis Coupe. It’s not only been given an injection of extra power and performance but also a much bolder face, better detailing, and more of a premium sports-car look inside. Overall, the new exterior looks smartly at home next to sedan models like the Elantra or Sonata—or even the new Veloster coupe—yet there's no mistaking that this is the assertive, slung-back profile of a rear-wheel-drive coupe. The 2013 Hyundai Genesis Coupe offers a layout—and focus—that’s relatively rare today, outside of pony cars or luxury sports cars; it’s a performance-focused, rear-wheel-drive coupe, offering a choice of turbocharged four-cylinder or naturally aspirated V-6 engines. 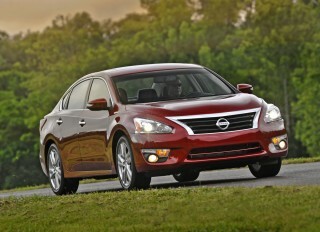 Both engines in the 2013 model are significantly stronger than those of last year’s model. The 2.0T engine—a 2.0-liter in-line four—now gets a twin-scroll turbocharger and larger intercooler, so that it makes 274 horsepower and 275 pound-feet of torque, with peak torque reached at just 2,000 rpm, and a new 3.8-liter direct-injection V-6 in the 3.8 models makes 348 horsepower and 295 pound-feet of torque. With either engine, you have a choice of a standard six-speed manual or Hyundai’s new eight-speed automatic, which includes paddle-shifters. For those who've been around sporty cars for a long time, think about how classic Japanese sports-car models like the Nissan 240SX or Toyota Supra might be today, if still produced, and you won't be far off the mark for how the Genesis Coupe performs. And thankfully, very few of the front-wheel drive Hyundai driving characteristics carry over into the Genesis Coupe. Shift action is clean and precise, clutch takeup is neat (both are improved for 2013) and, most importantly, the steering is a tried-and-true hydraulic system, tuned just right. About our only gripe is that the automatic transmission feels a little too relaxed and doesn’t quite fit the rest of the car’s character. The 2013 Hyundai Genesis Coupe is a sports coupe first and foremost, but it does take care of front-seat occupants remarkably well; and with a spacious trunk and a reasonably refined cabin experience—plus improved interior materials—it’s as good for long weekend hauls or the commute as it is for the racetrack. The exhaust note of the 3.8 has been made more urgent (and sonorous) with a soundbox—but, surprisingly, it’s only loud when accelerating hard. Hyundai claims that ride quality has improved with the suspension tweaks to the 2013 model, but we’ll reserve judgement until we’ve hard it out on some rougher surfaces. 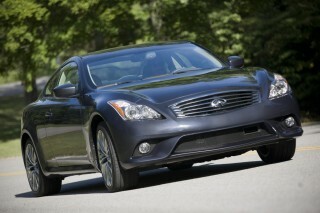 Even though prices have risen throughout the model line, the 2013 Genesis Coupe still offers a lot of bang for the buck. For just $25,125, you get Bluetooth, an iPod/USB interface, keyless entry, A/C, and a trip computer. Step up to the R-Spec—the model we had out on the track—and you get a track-tuned suspension, 19-inch wheels on summer tires, Brembo brakes, a Torsen limi-slip, plus special badging and red-leather seat inserts, with a bottom-line price of just $27,375. Top 3.8 Grand Touring and Track models, as well as 2.0T Premium models, there's a seven-inch navigation system on offer; it includes the Blue Link suite of services, as well as HD Radio, XM NavTraffic, Bluetooth audio streaming, and integrated audio and climate controls. The 2013 Genesis Coupe looks more ripped and refined, now standing out better than before against other sporty coupes. From the outside, the Genesis Coupe’s front end is where you’ll notice the most change. 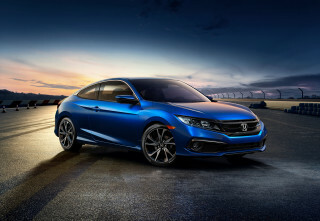 With a blacked out grille and lower air dam, combined with all-new lower aero work, running lamps, and fog lamps, the Coupe has a wide look in front—even though it’s about the same width as before. Headlights have also been reshaped and are more finely detailed, and the hood has been reshaped and recontoured, with dual air intakes up by the cowl. From the side, two rising ripples in the sheetmetal almost meet to create a Z-shaped component at the back of the side doors, while the window line itself, which drops just a slight bit at the rear window (and actually meets up with one of the ripples). Taillamps are now packed with LEDs, and they have new contouring, but in back the Genesis Coupe has changed the least. And there's an all-new lineup of 18- and 19-inch wheel designs that are more (and more deeply) styled. The Genesis Coupe's color palette has been revamped, too. Inside, the 2013 Genesis Coupe follows a more cockpit-like layout, and gets a new hooded instrument cluster, a center stack design, and fresh piano-black finish, with a new upper dash pad. 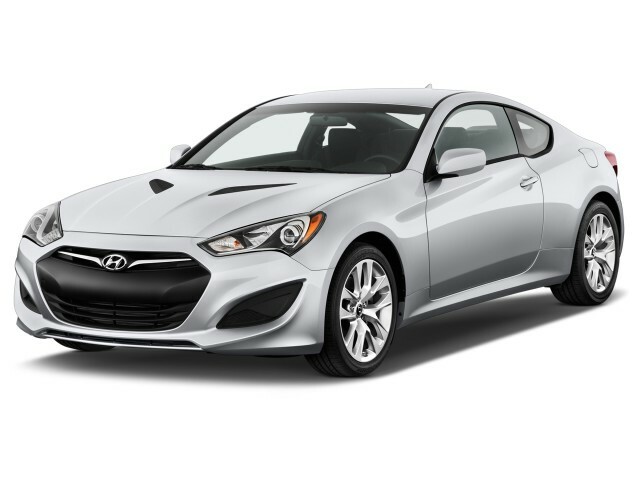 The 2013 Hyundai Genesis Coupe not only provides satisfaction for those who crave performance on a budget; it might also woo serious enthusiasts from up the food chain. 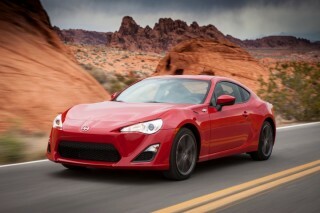 For those who've been around sporty cars for a long time, think about how classic Japanese sports-car models like the Nissan 240SX or Toyota Supra might be today, if still produced, and you won't be far off the mark for how the Genesis Coupe performs. And thankfully, very few of the front-wheel drive Hyundai driving characteristics carry over into the Genesis Coupe. Shift action is clean and precise, clutch takeup is neat (both are improved for 2013) and, most importantly, the steering is a tried-and-true hydraulic system, tuned just right. Like so many of the newer turbocharged fours with twin-scroll turbo arrangements, 2.0T doesn’t require you to work it the way that you had to in the last-generation Genesis Coupe; and probably because of that, it’s considerably less boomy and coarse in its personality. You can simply roll into the throttle and tap into a wave of torque that takes you all the way up the rev range. Slam the accelerator down rapidly though, and there's only the slightest bit of lag. Meanwhile, in the 3.8 versions, the new Lambda engine responds to the throttle much quicker—and more energetically, of course—than its predecessor. It’s not intensely torquey down low in a muscle-car sense, but it’s an engine that you ‘get’ right away, with a nice build of power and torque up the rev range. Also adding to the 3.8 models’ appeal—Hyundai hopes—is that it’s added a sound box essentially to make the V-6 more vocal inside the car (by literally piping some of the engine sound into the cabin), without making the neighbors irate. This sounds a little boy-racerish—and we were skeptically expecting something along the lines of old Chevy Eurosport resonators—but it's well executed, with a rich, sonorous note not kicking in especially vocally until you're deep into the throttle or in the engine's upper ranges. And in a nod to Hyundai’s frugal, practical side, both engines can run on regular gas if you so desire, and it only cuts output to 260 hp/260 lb-ft for the four and 344 hp/292 lb-ft for the V-6. Handling remains a Genesis Coupe high point. The quick-ratio hydraulic steering and well-tuned suspension—along with tweaks for this year’s model—give the Coupe better, more predictable body control and better control over rough surfaces. The layout—a dual-link MacPherson strut front suspension and five-link independent rear, with a Torsen limited-slip diff in R-Spec and Track models—is carried over, however, with staggered-width tires helping to maintain this model’s poise at the limit. Also new for this year is a traction mode for the stability control system, which allows anti-lock braking if you get too far out of line yet doesn’t cut engine power if you get the tail out. All Genesis Coupes come with four-wheel disc brakes; while base cars come with single-piston floating calipers, R-Spec and Track models get strong Brembo brakes (four-piston and ventilated, front and rear). These stoppers are fade-free, as far as we could tell from an early track experience, and ready for performance driving. Our only complaint ended up being with the eight-speed automatic transmission. With deliberate (albeit small) pauses between gears, smoothed-out shifts on all but full-throttle acceleration, and delays when using the paddle-shifters (plus no throttle blip on downshifts), its calibration doesn’t quite fit the character of the rest of the car. Stick with the manual if that matters. The 2013 Genesis Coupe's mission is performance, but its cabin offers much more comfort than its low coupe profile and boy-racer exhaust note might suggest. The 2013 Hyundai Genesis Coupe is a sports coupe first and foremost, but it does take cars of front-seat occupants remarkably well; and with a spacious trunk and a reasonably refined cabin experience—plus improved interior materials—it’s as good for long weekend hauls or the commute as it is for the racetrack. That said, the Genesis Coupe is still a low-profile two-door, with the back seat seemingly designed in as an afterthought. While it’s a bit easier to get back there than in some other coupes, thanks to a useful mechanism and long doors, it’s strictly kids’ territory, as adults will likely have issues with headroom even if they can splay their legs to the side and get in. Front-seat occupants will have no problem getting comfortable. Taller drivers will want to set the height-adjustable seats (power for the driver on upper trims) to their lowest position, given the rather low roofline, but once there this 6’-6” editor had enough additional space to wear a racing helmet—especially comfortably on non-sunroof cars. You can now also adjust the steering telescopically—a feature that was lacking, and certainly a comfort-related issue, in last year's model. Seats could use a little more side bolstering, but they’re likely proportioned the way they are to accommodate wider hips as well. The Genesis Coupe’s suspension improvements for this year, incorporating a new damper design as well as slightly smaller stabilizer bars for some models, also should help ride quality, especially when cornering over rough surfaces. Overall, the Genesis Coupe handles rough pavement surfaces a bit better than some other performance coupes like the Infiniti G37 Coupe or Nissan 370Z, with less humming and booming in the cabin. In four-cylinder cars, the engine is quite isolated from the cabin, except when you’re accelerating hard; because of a new soundbox system, which pipes engine sound into the cabin in V-6 models, these models have a more strident note inside when accelerating, yet they’re relatively quiet when cruising. Surfaces have been upgraded somewhat, with a new piano-black surface used throughout the redesigned dash, and Hyundai has fitted a stitched soft pad over the top of the instrument panel. The 2013 Hyundai Genesis Coupe hasn’t been rated in U.S. crash tests, but all the expected safety equipment is here. The Genesis Coupe's structure carries over from last year's model, but as far as we can tell there's nothing bad about that. It's a bit hard to gauge the Coupe against other rival models as it hasn't been tested in either of the two major U.S. safety programs. But all the safety equipment is here, including front seat-mounted side airbags, side air curtain bags, and active front head restraints. Electronic stability control is included, too, as are anti-lock brakes with Brake Assist for maximum panic-braking performance. Whether as a stylish commuter, a track-ready tuner special, or a refined grand tourer, the 2013 Hyundai Genesis offers a lot of bang for the buck. Hyundai has established a strong reputation for offering a lot of features for the money, in all of its cars, with relatively few factory options, and this holds true with the 2013 Genesis Coupe—even though prices are up significantly across the model line. With three 2.0T models and three 3.8 models, Hyundai covers the bases for most kinds of sports coupe shoppers—ranging from image-oriented commuters all the way to serious track enthusiasts. For just $25,125, you get Bluetooth, an iPod/USB interface, keyless entry, A/C, and a trip computer. Step up to the R-Spec—the model we had out on the track—and you get a track-tuned suspension, 19-inch wheels on summer tires, Brembo brakes, a Torsen limi-slip, plus special badging and red-leather seat inserts, with a bottom-line price of just $27,375. 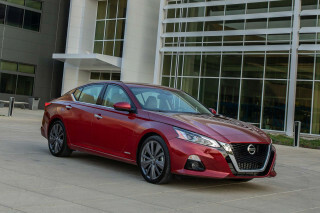 And even at the top of the line—the 3.8 Track model—the price only edges slightly above the $35k mark (still several grand short of the base G37 Coupe). On top 3.8 Grand Touring and Track models, as well as 2.0T Premium models, there's a seven-inch navigation system on offer; it includes the Blue Link suite of services, as well as HD Radio, XM NavTraffic, Bluetooth audio streaming, and integrated audio and climate controls. The 3.8 Grand Touring is the pick, as the name suggests, for those who plan to tour in comfort; it adds full leather upholstery, heated seats, push-button start, a power driver seat, a nav system with live-traffic functions, and a backup warning system. Top-of-the-line 3.8 Track model, with the automatic transmission, only edges slightly above the $35k mark. Across the model line, there are also big auxiliary gauges, for torque level (3.8) and boost pressure gauges (2.0T); but they’re located a bit too far down in the line of vision. 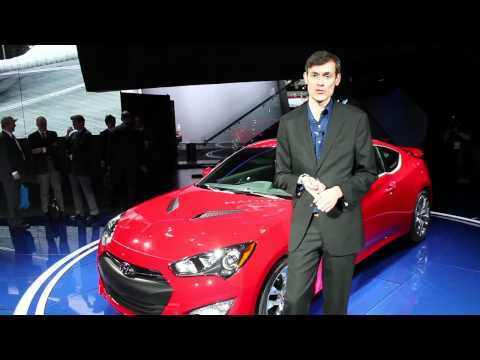 The 2013 Hyundai Genesis Coupe has stronger performance, while also making gas-mileage gains. 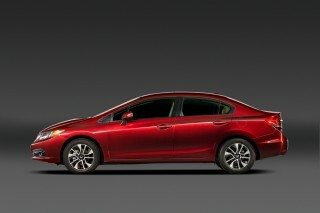 Gas mileage isn’t typically a priority for sporty-coupe shoppers, but reasonably good EPA ratings can add some appeal. 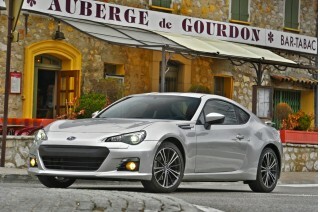 Such is the case for the 2013 Genesis Coupe. With EPA city ratings ranging from 18 to 21 mpg and highway numbers from 27 to 31 mpg, the Hyundai Genesis Coupe is competitive in this class, but they aren’t standouts in the way that Hyundai’s sedans (like the 40-mpg Elantra or 35-mpg Sonata) are, but they’re by not overly thirsty either. The revamped powertrains in the 2013 Genesis Coupe make serious performance improvements while making slight improvements in fuel economy, and we do suspect that a number of these improvements—like the wide-ratio spread of the eight-speed transmission—will reflect some pretty good real-world mileage numbers. Does everything extremely well. Performs as well as my base model 997 Porsche for far less money to buy and maintain. My coupe is a 3.8 Track model with 40,000 miles. Totally trouble free and fun!